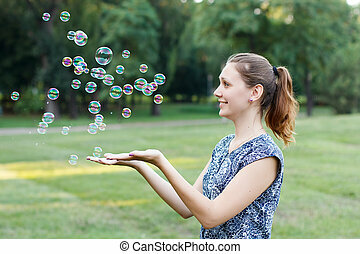 Soap ball and nature. 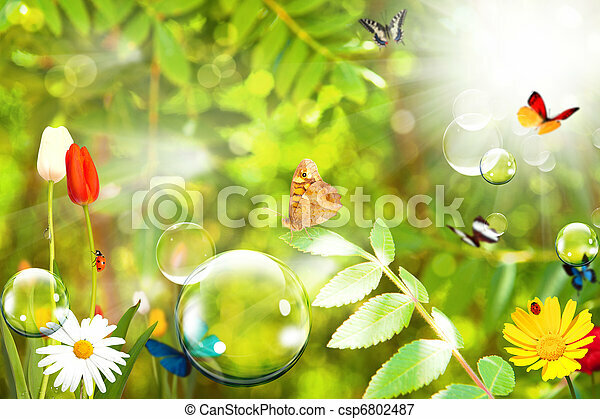 Soap ball and green garden. 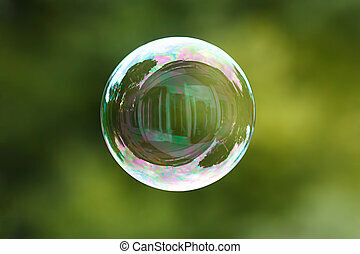 Soap ball in daylight against a background of greenery. 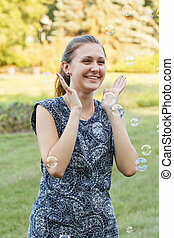 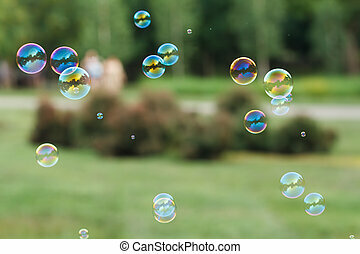 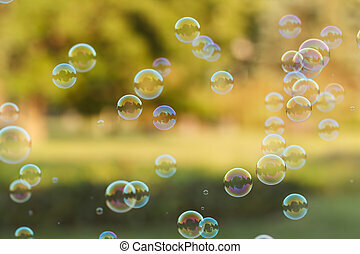 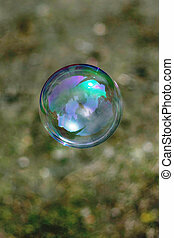 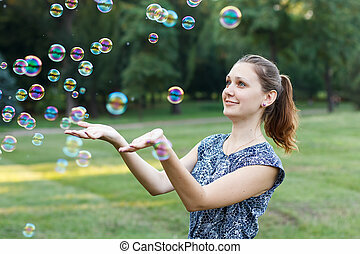 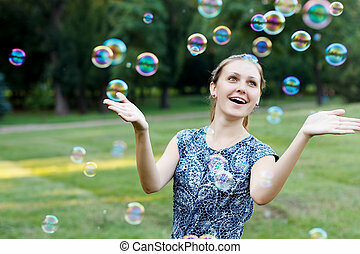 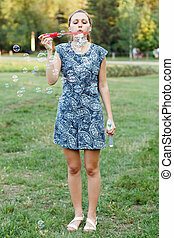 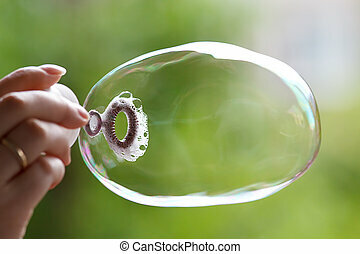 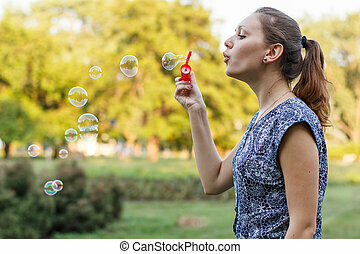 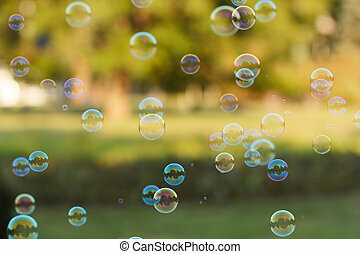 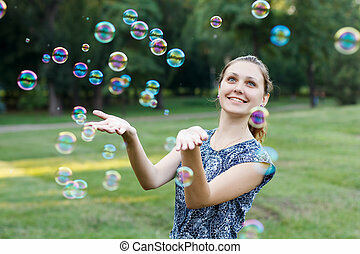 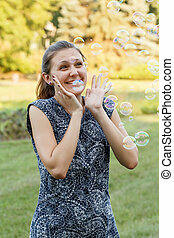 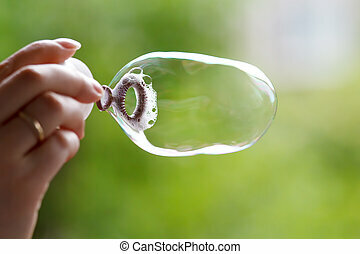 Beautiful girl in the park with soap bubbles.